Up, up, here we go! 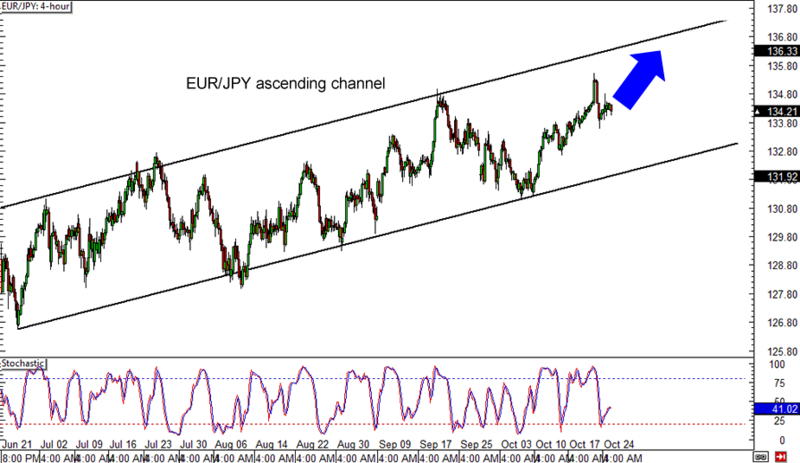 EUR/JPY is still zooming up the charts like a rocketeer, as the pair is trading inside an ascending channel on its 4-hour time frame. After bouncing off the channel support earlier this month, it appears that EUR/JPY is headed all the way to the top once again. Stochastic just made its way out of the oversold zone, suggesting that euro bulls are in control. When will the bleeding stop? Traders have shown no love for the Loonie in the past few days, pushing CAD/JPY on a sharp dive. Stochastic is already in the oversold region, which means that Loonie bulls are waiting for the right opportunity to push the pair back up. 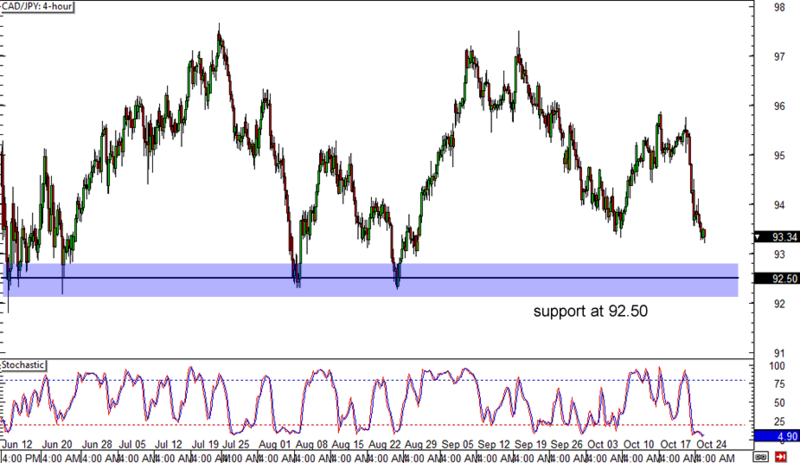 If support around its current levels don’t hold, CAD/JPY could still have a chance to recover once it reaches the established support zone at the 92.50 minor psychological level. If you’re wondering why AUD/JPY is stalling around the 93.50 area, then you should know that this level coincides with an area of interest! See how 93.50 acted as resistance in the past and seems to be holding as support now? On top of that, it’s also close to the 50% Fibonacci retracement level on the 4-hour time frame. 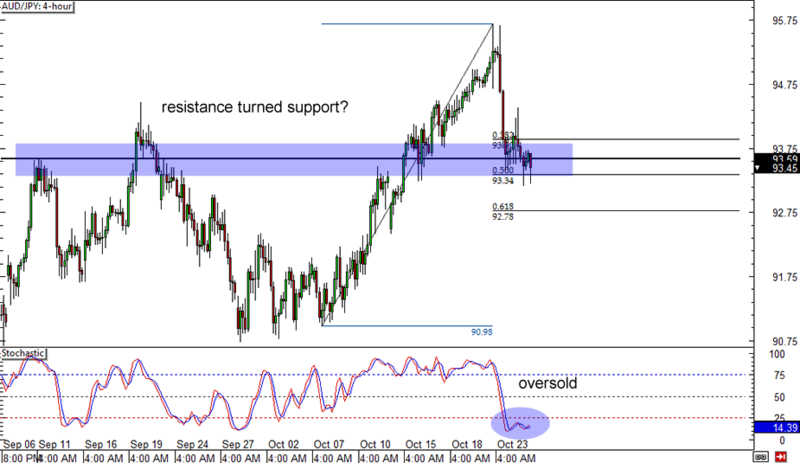 The oversold stochastic is hinting that Aussie bears are already exhausted and that it might be time for the bulls to charge!